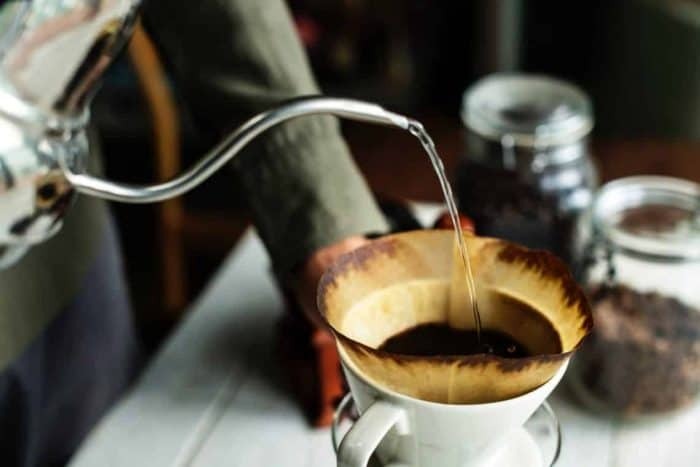 If you’re a fan of pour over coffee, then it’s extremely important to have a good kettle! Many coffee lovers also know just how important it is to be aware of the temperature of the water they use. You can’t just let the water boil and pour it as-is, or you can run the risk of getting a burnt, bitter tasting coffee. Because of that, it’s a great idea to use a pour over kettle that is made with a thermometer. That way you can ensure that the water is perfect before pouring it onto your grounds. 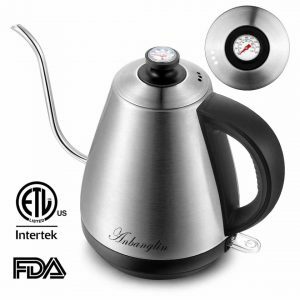 We’re here to help you out by taking a look at 9 top kettles with built-in thermometers! If you’re looking to keep it simple, the Brewing Lab Stainless Steel Kettle is an ideal option. 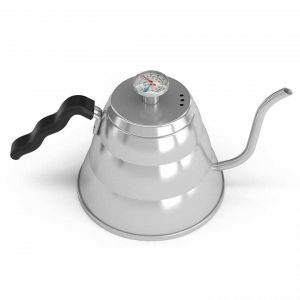 This is a pretty basic kettle with a durable, stainless steel build and a gooseneck spout perfect for pour over coffees. It also includes a thermometer that is attached to the lid so you’ll be able to easily tell what temperature the water is at. In addition, this kettle is able to work on a wide variety of stove types. Using this kettle, you’ll have full control over the temperature, pouring speed and overall amount of water thanks to the design. It’s truly a great option for those who want something simple and functional. Many who have tried it out find that the thermometer is highly accurate, which ensures you get just the right temperature every time. Reviewers also appreciate the spout, which makes pouring very easy without worry of spilling any of the hot water. For those who are looking for something with a little more to the design, the Gourmia GCK9975 is worth a look! This option is made with 18/8 steel, so you’ll be able to trust that it will remain durable. It also has a thermometer attached to the lid to make sure the water reaches the correct temperature. 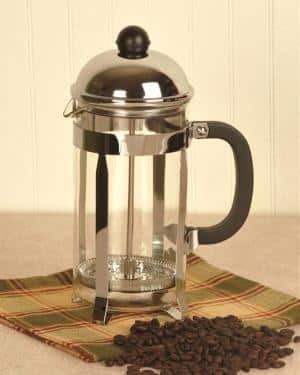 Due to the size, you’ll be able to heat up to 1.2 liters at once, allowing you to make enough coffee to share when needed. Thanks to the gooseneck spout, pouring will also be simple and precise. The handle is also made to be easy to hold regardless of the temperature of the kettle. Another of the simpler options out there is the OXO Good Grips Kettle. This kettle offers a handle that makes it easy to pour while keeping your hand away from the heat. In addition, this kettle sits a little taller than others, allowing you to heat a full liter of water at a time. Using the thermometer in the lid, you’ll easily be able to make sure that your cup is the perfect temperature every time. This is a huge help in avoiding scalding your grounds with water that is too hot. Made from stainless steel, you won’t have to worry about plastic or other unwanted materials effecting the water. Furthermore, you’ll easily be able to use it on nearly any stove including induction, gas and electric. Many users love the simple design and easy pouring offered by the gooseneck spout. The Barista Warrior Kettle is a fantastic option for those in search of quality. It’s made from 18/8 steel, which is going to allow it to remain durable for a long time. 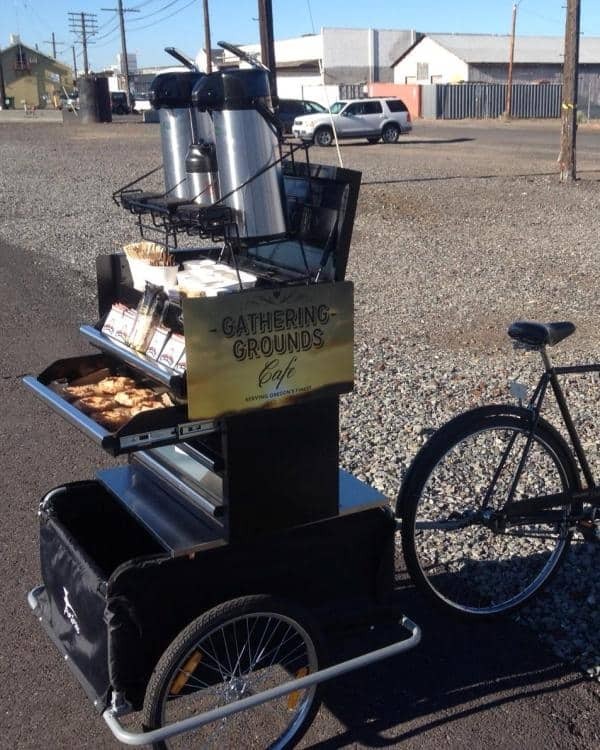 In addition, you’ll be able to make plenty to share with the 1.2-liter capacity. The thermometer makes it easy to track the temperature to make sure you get the perfect cup every time. You’ll also get plenty of consistency from the gooseneck spout. Furthermore, it includes a one-year warranty that will keep your investment protected for at least that long. Because of that, you won’t need to worry about wasting money on something that arrives damaged, broken or otherwise unable to meet your needs. 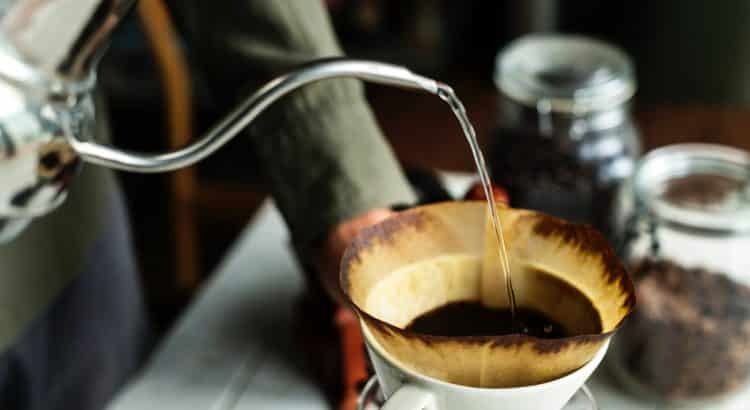 It’s a fantastic option for those who enjoy pour over coffee, and it pairs with great coffee makers like Chemex and other pour over methods. Furthermore, it’s very lightweight and able to be used on a variety of stove types. The Ovalware kettle is fantastic for those who are looking for something sturdy and easy to travel with. It’s made from stainless steel, so you’ll be able to rely on it for quite a long time. In addition, this option is able to hold 1 liter so you’ll easily be able to make enough coffee for the whole family. Furthermore, this option is made to be easy to clean so that you won’t need to worry about having a bottle brush around or other specific tool. The handle is also specially designed to remain cool and keep your hand away from the hot kettle. Finally, the handy thermometer attached to the lid will ensure your water reaches just the right temperature. You’ll also be able to easily pour at the right rate thanks to the gooseneck spout design. For those who prefer something practical and minimalist, this is a great way to go. 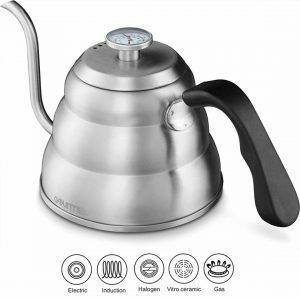 For those who would prefer an electric kettle, the Ambanglin kettle is a fantastic option. Like the other options in this list, this option includes a thermometer as well so you can easily keep track of the temperature. With this kettle, you’ll be able to avoid taking up space on the stove. Because of that, you’ll be able to brew your water for pour over coffee and cook a full breakfast at once. 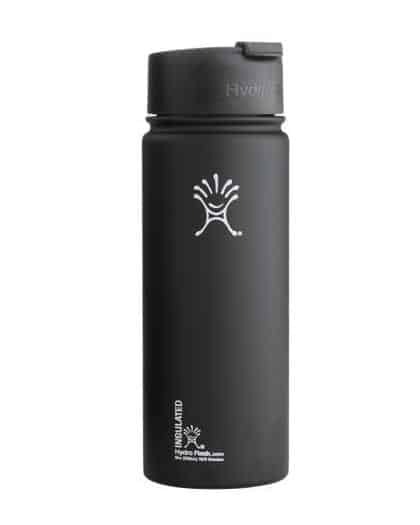 It also provides you with a pretty decent capacity of 1 liter. If you should happen to get distracted, this kettle also includes an auto-shutoff that will turn the heating off once the water has begun to boil. This feature can be incredibly useful for avoiding the possibility of burnt-tasting coffee. Furthermore, it’s also made from reliable, food grade stainless steel. On top of that, you’ll get a fantastic one year guarantee! 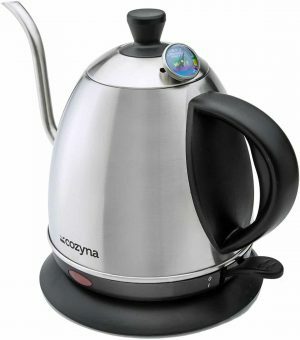 Another great electric option is the Cozyna Electric Kettle. This kettle provides you with a simple way to get the hot water you need for your pour over coffee. All you have to do is add the amount of water you need, turn it on and keep an eye on the thermometer to make sure it reaches the correct temperature. 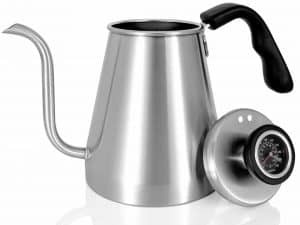 Once the water is exactly as you need it, you can easily lift the kettle from the electric base and pour your beverage using the gooseneck spout. It’s able to heat up to 1-liter of water at a time, and is made to be lightweight so just about anyone can use it with ease. The lid on this kettle is also airtight, so that you can trust it won’t accidentally spill hot water. 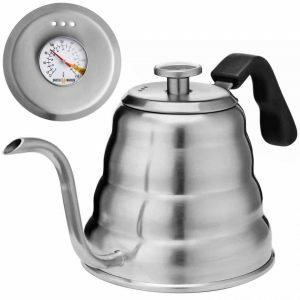 The included thermometer isn’t permanently attached to the lid, but is easy to remove so you can clean it and the kettle separately as needed. 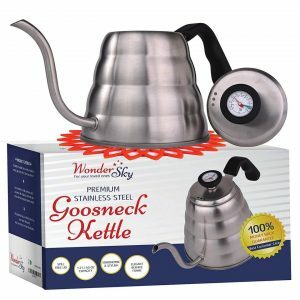 One of the extremely high-rated options in this list is the Wonder Sky Kettle, which offers a simple and effective design. This brand claims to be a barista-quality option that can last for quite a long time. 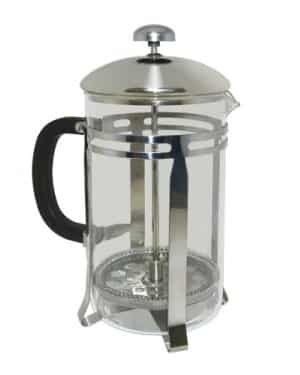 It’s made from reliable stainless steel with a 1.2-liter capacity so you’ll be able to make plenty for a larger brew. Due to the beehive design, this option is also one that is meant to heat up quickly. It is a stovetop kettle, which means you can use it at home or on the go when you may not have a plugin. As a fun addition, it also includes a free ebook that can get you started with using the kettle for a number of delicious drinks. 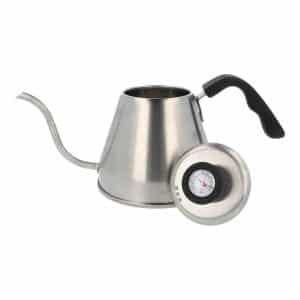 This is perfect for those who may just be getting started with making pour over coffee and other kinds of drinks. 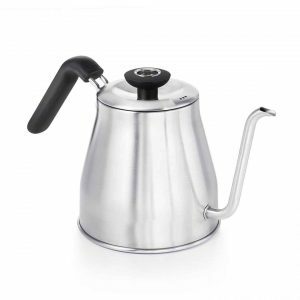 The most highly praised kettle in this list is the Coffee Gator Pour Over Kettle. 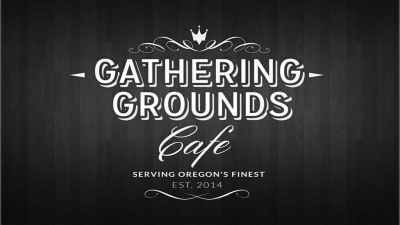 This option is able to hold up to 34 ounces, making it ideal for those who want something that can make plenty to share. In addition, the stainless steel that is used to make this kettle is medical grade, which means it’s going to be very safe. The base is also three layers thick, helping it to remain free from rust and durable for the long term. With the help of the built-in thermometer, you won’t need to worry about burn-tasting coffee. There is also a 100% satisfaction guarantee, so you’ll be supported if you don’t get the optimal experience for any reason. Many customers who have purchased this kettle love that the portion size isn’t too large, meaning that they can quickly heat up more servings without too much of a wait.